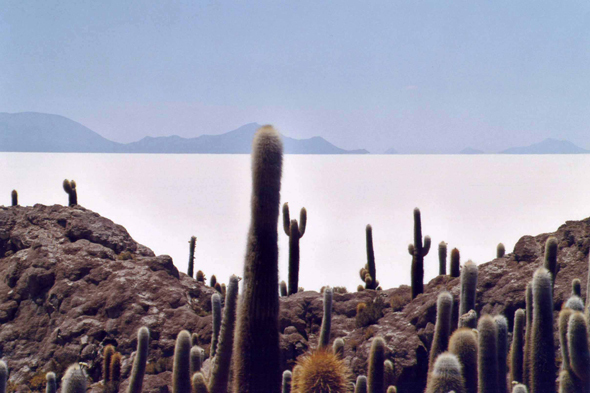 The Isla de los Pescadores and the Salar de Uyuni. Around banks of this old sea, one distinguishes two terraces which indicate that two lakes followed one another. Under the lower limit, coral fossils were trapped in limestone.